Courtesy Philaplace.org The John F. Street Community Center hosted the National Public Health Week events in Philadelphia last week, which included sexual health workshops for kindergarten through eighth grade students. April 2 marked the beginning of the 17th annual National Public Health Week, a nationwide effort to raise awareness of healthy habits. Monday, April 2 marked the beginning of a weeklong celebration for National Public Health Week recognized by public health majors. In 1995, former President Bill Clinton dedicated the first full week of April to NPHW in an effort to raise awareness to issues that affect the nation’s health, including violence and disease. Each year since, the American Public Health Association has organized national events to focus on such issues during the week. “National Public Health Week is a time to unite around a critical public health issue and focus our collective energy on the singular goal of helping people live longer, happier, healthier lives,” according to its website. Different organizations incorporated this theme with the goal of educating those working in the public health field, as well as the general public. Public health is the study of preventing disease and promoting health through organized efforts and informed choices of society. 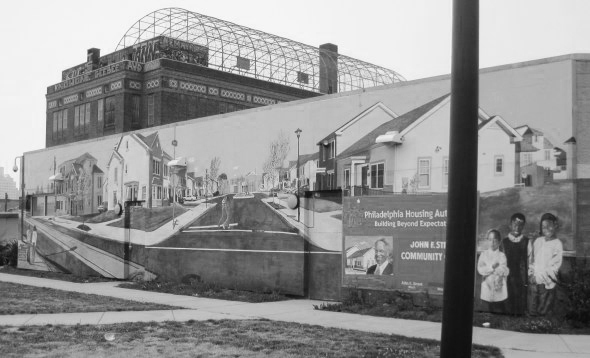 NPHW events in Philadelphia were held at the John F. Street Community Center on 1102 Poplar St. and the Fairmount Boys and Girls Club. Temple public health students worked as facilitators for the events held in the city. Attendance ranged from students and faculty to local Philadelphians. Events like the communicable diseases student and parent workshops were geared toward kindergarten through eighth graders students to inform them on how to prevent the spread of germs through proper hygiene practices. Temple students also led several workshops for students and parents of the Fairmount Boys and Girls club regarding sexual health. Hinson is a recent inductee of the national health education honorary society Eta Sigma Gamma. The Alpha Omicron chapter is active on Main Campus and held its Eta Sigma Gamma Month in March as a way to kick off NPHW. ESG events included a group fitness day, a health fair where students could network with individuals already in the business and a program during which a nonprofit organization led the discussion on sexual abuse and prevention. Though its events were not central to NPHW’s theme, there were many events that held true to the cause of public health, which is to educate the public of preventative measures. “The goal of ESG month is to bring awareness to the organization as well as educate on different preventative measures for sexual health and other general health awareness,” Hinson said. With the combined efforts of ESG, HEART and NPHW both organizations stress the importance to make healthier choices and live long, fulfilling lives. One audience that ESG, HEART and NPHW aim to reach is college students, since they are more prone to not making healthy choices while in school, which therefore makes themselves more susceptible to contracting diseases.